Last night we met a group of friends at Mez in Morrisville, NC. It’s a great place! Great lighting, fabulous artwork, beautiful paint colors–and the food is wonderful. 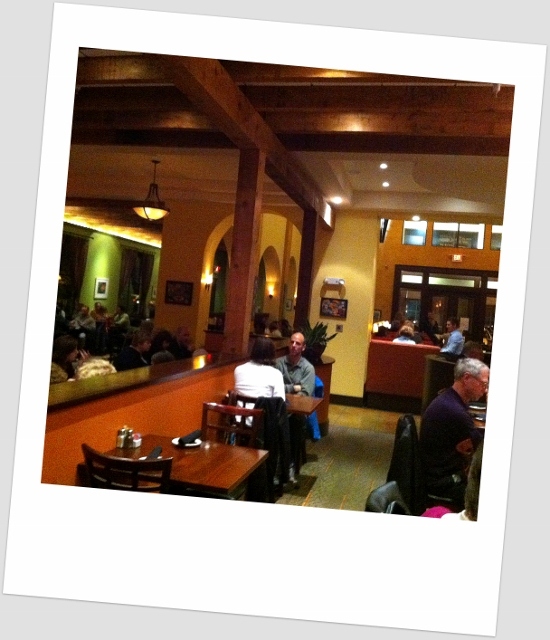 It’s upscale Mexican–I had the spinach enchiladas with red rice and black beans and it was amazing. Shows how easy it can be to eat vegetarian, that’s for sure. We were a very noisy table because one couple was visiting from Charlottesville and we had a lot of catching up to do and we all make each other laugh–a lot. Great fun. Things are really hopping in the office and I’ve got a couple of announcements to make. The most important one is that Gail Healy has joined DeCocco Design as a Design Associate. Sound the trumpets please. I am so glad she’s here! Gail has run my workroom for many years–that means she makes the beautiful custom window treatments that I design for my clients. She’s super talented and a lot of fun to be around. Her company, “It’s Curtains” is well known in our area (and beyond) for creating the best of the best. Gail trained as an interior designer, specializing in kitchen design, but just liked sewing better. I’ve convinced her to come on board to help me launch a related product (next announcement, coming very soon). Her passion is water skiing. Doesn’t that look like fun?